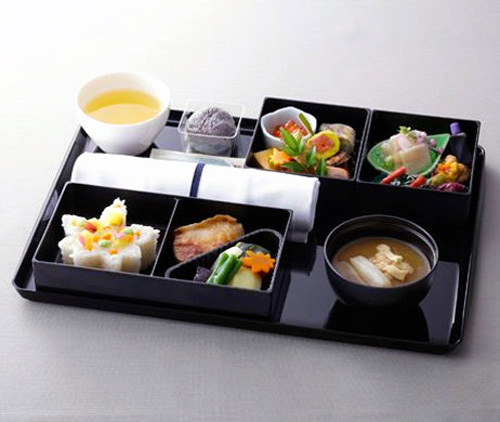 Almost well-known airlines – from Air New Zealand, All Nippons Airway to Korean Air, have a wide variety of mouth-watering meals. Their special foods are well prepared to convince even those busiest first class passengers, who may be bored with a long distance flights. One talented chef and two wine specialists take special care of the menu and ensure that passengers experience the very best ofNew Zealand cuisine.Famous inflight menusare salmon in a salt crust, Moorish chicken with spiced saffron tomato broth, white beans and cinnamon roasted pumpkin hummus. To finish, passengers can enjoy the dessert, prepared with white chocolate and rosewater panna cotta with pistachio cream. Passenger will spend every moment in total comfort before their departure with an ultimate private space to relax in. 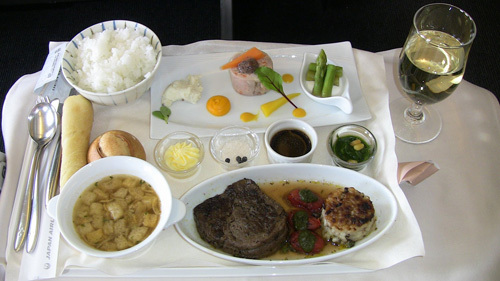 All Nippon Airwaytakes their pride by offering refined menus and ingredients. They provide the best seasonal delicacies in traditional Japanese style or with elegantly Modern European dishes. 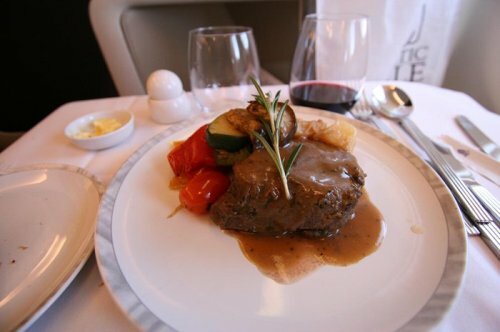 Emirates Airline has won Saveur Magazine’s Culinary Travel Award for Best In-Flight Dining. 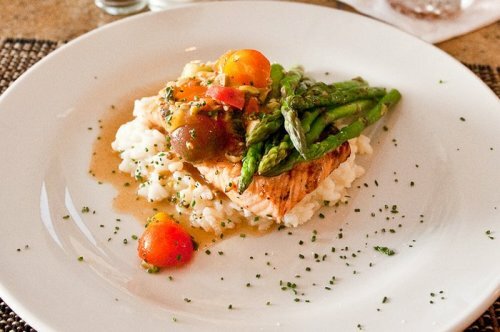 The dishes are prepared by five-star chefs and traveler can experience a different menu such as smoked tangerine chicken, braised beef in coconut milk and strawberry cheesecake as dessert. Emirates has a dedicated first-class lounge with a Cigar Bar, a Le Clos wine cellar, showers, quiet rooms furnished with blankets. Etihad Airways has been named as the Middle East’s Leading Airline, given by the World Travel Awards Middle East. 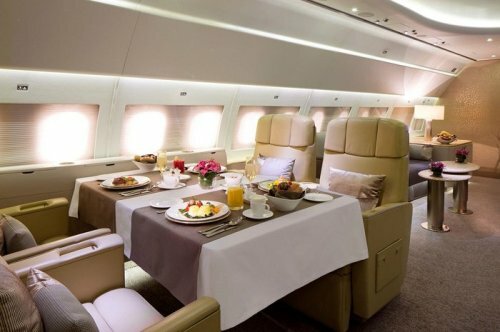 The amazing thing is that they offer the world's most luxurious living space in the air, the first class apartment. The apartment is equipped with flat screen TV, a chilled drinks cabinet, an energizing shower and a wardrobe. There is a special chef, who prepares the meal for the guest. Having a Japanese Airlinesfirst class ticket offers you a luxury high tech cubicle, made from bamboo fiber and23-inch touch-screen LCD TVs. Passenger can also enjoy the tempting menus, created by three top-class chefs for a thoroughly unforgettable dining experience. The best course is seafood course of Japanese Spiny Lobster and Scallop Sashimi Style. And the Airline serves Pistachio-crusted cheese cake as the dessert. First and prestige passenger can sample exclusive cocktails at the very relaxing “Celestial Bar”. 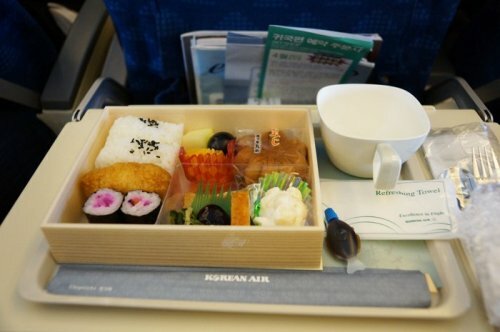 The Korean Air has received the prestigious `Mercury Award' from the International Flight Catering Association (IFCA). The airline provides an extensive menu with meal choices ranging from Western dishes to Chinese, Japanese and Korean menu. The special Korean-style meals are Dongchimi noodles or Korean ginseng chicken soup. The 3-Michellin star chef Chirstian Jürgens is renowned far beyond the borders of Bavaria and Germany and will create dishes for the “Culinary Delights” concept in the First class cabin. 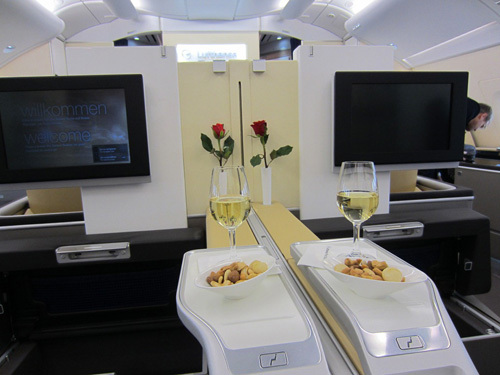 The passenger will be able to enjoy the top gourmet with perfect taste experience. On flights from New York the Airline will serve a unique dishes such as Pumpkin Ravioli or filet of pork served with apple jelly. The wide range of wines is served to enhance the meal quality. 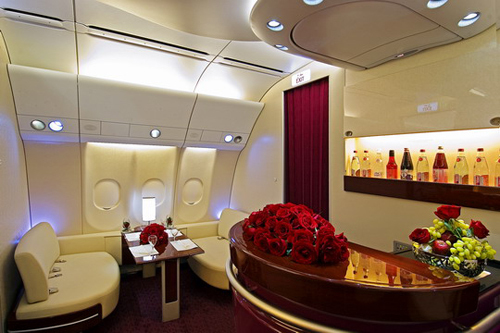 Qatar Airlines First class has two talented master chefs, who put together the in-flight meals. They are in charge of delivering spectacular themed dishes like salmon gravlax, heritage tomato salad or classic Arabic mezze. Or they also go a step beyond with those on-demand food services. Passengers can also taste the wonderful green jasmine tee before sleep and macchiato in the morning or some excellent wines. Singapore Airline is famous for chicken and beef satay skewers. 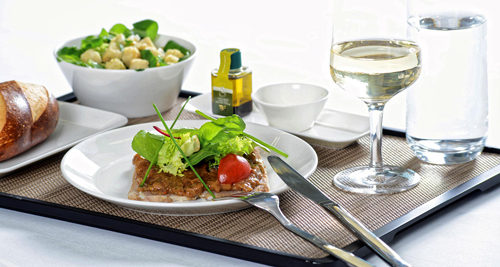 The inflight menus are delightful, showing the most exclusive culinary masterpieces in the sky. This luxury dining can be very diverse, from Indian delicacies, Japanese special meals to European specialties. The First class passenger will enjoy the individual service with award-winning gastronomic concept, accompanied by excellent chefs. Menus change every 3 months and may include Swiss taste dishes with regional wines and the selection of local cheeses. 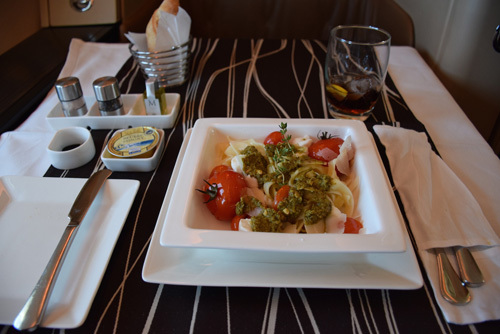 This is the best of culinary delights that Swiss Airline offer and complement to their prestige passengers.